A farm wouldn’t be a farm without the perfect barn, and luckily Action Sheds Australia has some of the best options for barns in Perth. Located near the western side of the country, we bring to the table some of the best farm sheds in WA, because they are almost completely chosen by you. We start by offering a few basic models, but all of them are completely customisable and therefore you get the ultimate say in how your workshops, garages, carports, barns, and other types of sheds turn out. 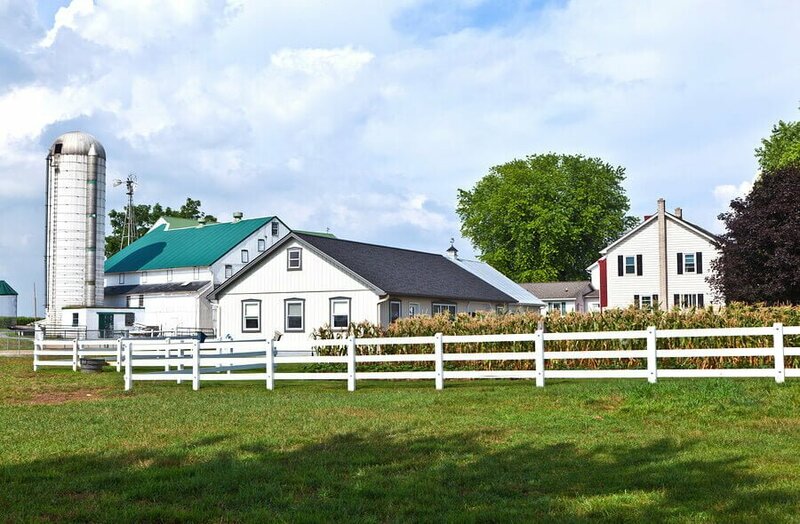 When it comes to barns, no farm is complete without one and therefore we offer a multiple of options to choose from to best suit you and your farm’s individual needs. All are the same basic shape and offer similar options, but we have two main types of models to select to begin the process. The first is the American design barn shed. The most notable feature about this model is that it has an enhanced look due to the twenty-five degree high centre and seven and a half degree awnings on each side. Purely aesthetic, this adds a nice touch to the outward appearance of your barn. In addition, the American barn sheds come with a high up and wide breezeway, making it easier to park and house your boats, caravans, and horse floats. For customisation, we also can add a mezzanine floor for extra stowing space on the second level of the barn. This can even be extended to create an outdoor balcony, both practical and fashionable additions. The second model we feature is the Australian, or Aussie barns. These have a single point on their ceiling and also include many additional extras you can use, including all the ones we have for the American model, plus extra ventilation, internal walls, personal access doors, and skylights. You can also install rolling doors on either side of the barn for better security. Height and width are also up to your discretion. All of our barns and storage sheds come with a ten year warranty on structure and a fifteen year warranty on cladding. We deliver all these products anywhere in the nation. For any questions you may have about our barn options and construction, call us at 1300 778 628.